A total coincidence that both of us craved for the exact same thing to rejoice the Seattle rains (which is almost every other day here in Seattle) -Mirchi Bajjis and hence this post. Every bite into these spicy snacks recalls the sight of “thella walas “(vendors on little trolleys) on the street corners back home, making these roadside treats. 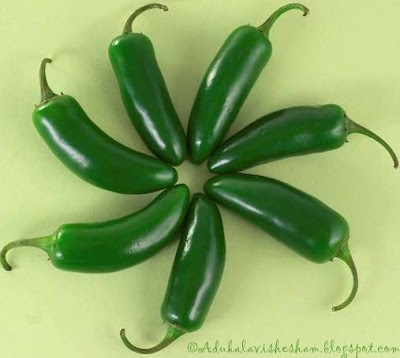 * People who do not like it very spicy, you can deseed the jalapeno peppers and don’t necessarily have to add the chili powder. Kashmiri chili powder is a good alternative adding the color without the spice. * You can use the whole peppers or cut them length wise. We have cut up in small discs to make them into a bite-size. Mix the flour, turmeric powder, chilli powder and salt with little water to make a thickish batter. Add the ginger garlic paste, chopped up onions and cilantro. Finally dip and coat the jalapeno peppers with this batter and fry them in hot oil until golden. Serve hot with ketchup and spice up your evening cup of tea.